Timo and company are back with an all new and spectacular Psychedelic Avengers project. This is not a compilation CD but an interstellar sound journey and is suppose to be sort of a soundtrack to your own imaginary sci fi movie. This project spans 2 CDs and nearly 2½ hours of music (stoner rock, space, pop, drone, electronica, techno, psychedelic) all linked together in a long far out story of some sort. I wish I could read the liner notes (soon the translation will be on the web but it was not at the time of this review) as all the notes are in German. Anyway, they have really pulled together a lot of different artists and got them to work together. Each track here has at least two artists (many from different genres of music) working together. For instance, Stefan (Colour Haze) worked with Dark Sun (Finland), Sebastian Horn (Bananafishbones) worked with Marble Sheep (Japan), and Electric Orange, Zone Six and Sula Bassana put together two tripped out songs. In the end you have 43 artists from many different countries contributing to this totally unique trip CD. The project has been very well thought out and the music flows together very well. Unlike the previous CD, where you had to use the secret figures to decode which artists have contributed to which tracks, they spell it out for you this time (but also use the symbols). Great project and congratulations! 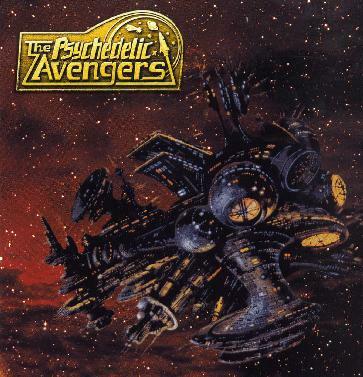 For more information you can visit The Psychedelic Avengers web site at: http://www.psychedelicavengers.de.